File Size: 12.34 MB; Layered: Yes; Vector: Yes. 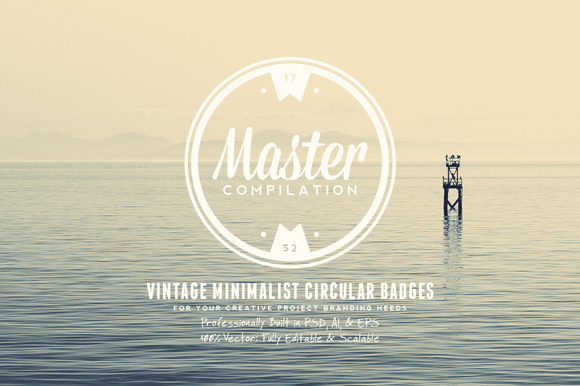 Here's a set of 9 vintage minimalist badges which can be used as your logos, labels, badges, watermark and other identity and branding materials. Brand your creative projects with these retro style logos and it'll bring out a strong branding presence and vintage handcrafted impression. If you need help with this item, don't hesitate to contact me. Keywords: vintage badges, vintage logo, retro style, retro logo, modern vintage, handcrafted, insignia, emblem, grunge, weathered.